Not to be confused with Northwestern Polytechnic University in the United States. Northwestern Polytechnical University (also known as NPU or NWPU; Chinese: 西北工业大学; pinyin: Xīběi Gōngyè Dàxué) is a National Key University, directed by the Ministry of Industry and Information Technology of the People's Republic of China, located in Xi'an, Shaanxi, China. It is a Chinese Ministry of Education Class A Double First Class University. The university specializes in education and research in the fields of aeronautical, astronautical and marine engineering. And, NPU's engineering ranked the 10th among China's engineering universities. As of 2012, NPU has 13,736 graduate students (3,063 full-time doctorate candidates, 7,087 master candidates, 3,586 professional degree candidates) and 14,395 undergraduate students. The university is a member of Project 985 and Project 211. NPU builds upon the legacies of its three major predecessors. In 1938, due to the Japanese invasion of northwestern China, many institutes were relocated to Shanxi. Among them, the National Beiyang Engineering Institute, the Engineering School of Beiping University, the Engineering School of the National Northeastern University, and the (private) Jiaozuo Engineering Institute were combined to form the then National Northwestern Engineering Institute in Hanzhong, Shaanxi, which is a city surrounded by mountain ranges. In 1946, following the end of World War II, the National Northwestern Engineering Institute, one of the three predecessors of NPU, was relocated from the mountains to the city of Xianyang. After the founding of the People's Republic of China, all institutes became state-owned, and in 1950 the National Northwestern Engineering Institute was renamed the Northwestern Engineering Institute. 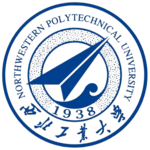 In 1952, to meet the demand for concentrated aeronautics research, the departments of aeronautical engineering of the former National Central University (later known as Nanjing University), Jiaotong University and Zhejiang University were relocated to Nanjing and combined to form the East China Aeronautics Institute. This institute was relocated to Xi'an and renamed the Xi'an Aeronautics Institute, which is the second predecessor of the NPU, in 1956. In 1957, the Northwestern Engineering Institute and the Xi'an Aeronautics Institute were merged to form NPU, which concentrated its research efforts on defense technology for aeronautics, astronautics and marine engineering. In 1970, due to deteriorating relations with the former USSR, the People's Liberation Army Military Engineering Institute, which was located in Harbin, was disassembled. Many of its departments were relocated from the city near the China-Soviet border; among these, its Department of Aeronautical Engineering (the third predecessor of NPU) was moved to Xi'an and merged with the other two predecessors to form NPU. NPU's campuses comprise about 4.58 km2, with the Youyi Campus, located in Beilin District, Xi'an, comprising about 0.8 km2 and the Chang'an Campus, located in Chang'an District, Xi'an, comprising about 2.6 km2. and the Taicang Campus, located in Suzhou, Jiangsu, comprising about 1.18 km2. The Youyi Campus, often referred as the 'old campus', is divided into three parts: the South, the West and the North by the West Youyi Road and the South Laodong Road. The campus contains education facilities, apartments of teachers and students, stadiums, logistics facilities, a kindergarten and the primary and middle school affiliated with NPU. The Chang'an Campus, often referred as the 'new campus', is divided into two parts: the East and the West by the Dongxiang Road. This campus contains many newly built administration buildings, school buildings, experiments facilities, sports facilities and so on. It serves as the main base for undergraduate education of NPU. The Taicang Campus，located at the border between Suzhou and Shanghai，is currently under construction and will start to run in September 2021. This campus will contain 10 schools including School of Artificial Intelligence, School of Flexible Electronics, School of Business etc. It will serve around 10,000 students. NPU is building or going to build more facilities on both of these two campuses. Supported by the Ministry of Industry and Information Technology and the former Commission for Science, Technology and Industry for National Defense, NPU has received a 1.58 billion CNY (252.8 million USD) investment in infrastructure constructions from the central government and there're more than 20 construction projects running currently including the Material Science Building, the Innovation Science and Technology Building, the Reconstruction of Dangerous and Old Apartments after the earthquake, the #1 Student Apartment in the Youyi Campus and the New Library, Infrastructure Plan I & II, the High-tech Experimental Research Center and others in the Chang'an Campus. NPU has a strong research capacity in engineering. It was confirmed as one of the National Key Universities by the State Council in 1960. In the 7th and 8th Five-year plan, NPU was listed as one of the 15 National Key Developing Universities. In the 9th Five-year plan, NPU joined the Project 211. And, in the 10th Five-year plan, NPU joined the Project 985. Since its establishment, NPU has educated more than 150,000 high level technicians and researchers for China's defense industry and national economy development. The first PhD from 6 disciplines in China was graduated from NPU. And, among NPU's alumni, there are more than 30 fellows of the CAS and the CAE, 30 generals in PLA and 6 recipients of China's TOP 10 Outstanding Youth Elite. The university's research funding has been continually rising every year. It reached 1.67 billion RMB in 2010 (0.26 billion USD), ranking 5th among all universities in China with funding per faculty member ranked 1st. And, in 2011, it reached 1.91 billion RMB. In 2019, NPU ranked 27th in the Chinese university ranking, the most famous ranking in China. And, NPU's engineering ranked the 10th among China's engineering universities. According to the results of the 3rd Evaluation of Disciplines by the Ministry of Education of the People's Republic of China, the ranks of parts of NPU's disciplines are shown below. NPU has 7 State Key Laboratories and 28 Province/Ministry-level Key Laboratories. Only the State Key Laboratories are listed below. The Education Experimental School is the college with special honors in NPU. Its predecessor is the Education Reform Class established in 1985 which was upgraded to the current school in 2001. The aim of this school is to provide the most elite students of NPU with the best resources so that they can become future leaders in their fields. NPU has 15 academic schools, 1 educational experimental school( known as Honors College), 1 independent school and some other administrative schools. The university offers 58 undergraduate programs, 117 master programs, 67 doctorate programs and 14 postdoctoral programs. Currently, there are 2 First-level National Key Disciplines, 7 Second-level National Key Disciplines, 2 National Key (to cultivate) Disciplines, 21 First-level Disciplines for Doctorate Degree Granting and 31 First-level Disciplines for master's degree Granting. Additionally, NPU has 7 State Key Laboratories, 28 Province/Ministry-level Key Laboratories and 19 Province/Ministry-level Engineering Research Centers. The 15 academic schools of NPU are listed here in the official order. The Innovation Study Base, directed by the Dean's Office of NPU, consists of multiple student competition programs including NPU's university team of Football Robotics, Dancing Robotics, Model United Nations, Mathematical Modeling, Model Airplanes and so on. In the 11th Five-year plan, NPU students won more than 1,400 awards at the international, state and provincial levels including 54 1st or 2nd place international level award and 147 1st or 2nd national level award. The Student Club Center, directed by the Communist Youth League of NPU, serves all university-level student clubs. The center helps to organize and supervise student activities on the campus and acts like a bridge between the administration and students' clubs. ^ "教育部 财政部 国家发展改革委 关于公布世界一流大学和一流学科建设高校及建设 学科名单的通知 (Notice from the Ministry of Education and other national governmental departments announcing the list of double first class universities and disciplines)". Mor.gov.cn. ^ a b c d e "学校简介-西北工业大学". Nwpu.edu.cn. Retrieved 5 August 2018. ^ "学校历史-西北工业大学". Nwpu.edu.cn. Retrieved 5 August 2018. ^ "友谊校区规划-发展规划处". Fazhan.nwpu.edu.cn. Retrieved 5 August 2018. ^ "长安校区规划-发展规划处". Fazhan.nwpu.edu.cn. Retrieved 5 August 2018. ^ Team, Discuz! Team and Comsenz UI. "西北工业大学2011年科研经费19.1亿元 - 大学排行 - 网大论坛 - Powered by Discuz!". Bbs.netbig.com. Retrieved 5 August 2018. ^ "武书连2012中国大学工学排行榜". Edu.sina.com.cn. Retrieved 5 August 2018. ^ "教育部学位中心2012学科评估结果公布". Chinadegrees.cn. Retrieved 5 August 2018. ^ "学院简介-教育实验学院". Honors.nwpu.edu.cn. Retrieved 5 August 2018. ^ a b "学院设置-西北工业大学". Nwpu.edu.cn. Retrieved 5 August 2018. ^ "Educational drone maker takes to water". Chinadailyhk. Retrieved 2018-03-27. This page was last edited on 22 March 2019, at 09:24 (UTC).